Went to an ILP reception & re-union. A small turn up owing to poor condition of streets due to heavy snowfall. Birthday advance of my wage by 2/- to £3. There was also a rise from Jan 1 of 6/-. Had tea at the Friends Institute. A full staff mtg was held, at which the position in our negotiations with the EC was explained for the benefit of the demobilised men. Social gathering of NCF group. Took my first course in Wireless Telegraphy. After the school I took car into town for the NCF mtg. The Mac’s Ramblers held a highly successful social & dance at the Gorton ILP rooms. Wireless School closed for alterations. Busy & decided to miss the school again. Met some of the released absolutists at the NCF mtg. RJD gave me the warning that I shall probably have to finish before Whitsuntide. At night I received a tapper [Morse code transmitting key] from the Wireless School for which I paid 9/6. The school closes tonight until May 5. Being busy I missed the Wireless School on these nights. As representative on the Mac’s, I experienced my first meeting of the PD &NCFPS. Received in reply to my enquiry, a letter from the Marconi Co. stating that they regretted my slight lameness would prevent me from passing their medical test, even tho’ I might have secured a P.M.G. certificate. So end my immediate intentions of studying, securing an appointment on board in order to find time to study languages. Actually I have been on ‘tapping’ and receiving the whole time I have been at the school & have had no theory lectures of any kind. I have a pretty fluent knowledge of morse & a little other knowledge. I have spent 3 guineas in all [a week’s wages] (£2.10. 0 on fees, 9/6 on a tapper and 3/6 on a book from them – Electricity & Magnetism). Mr E., Miss H., & myself received a week’s notice to terminate our employment. Went with friends to see Beecham Opera – Il Trovatore. [There is a list of the main cast members, and then the diary finishes. 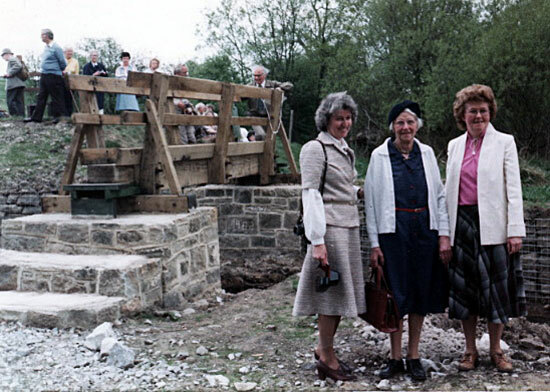 Dorothy Spence, daughter; Mrs Dorothy Wild, widow; Pat Moneypenny, daughter.